We just love making T-shirts! Born from a love of t-shirts and a desire to create and realise our own t-shirt designs, we have developed our business with a view to providing the best quality t-shirts for a great price! The idea came from the an old comic book I used to read. They are space-saving magic capsules which are pocket sized but can store almost any object, including cars, planes, houses, and other "near future" objects. Capsule39 has developed its printing processes since 2007 with the aim of providing the best possible quality T-shirt printing at affordable prices. We only use top quality, branded garments (like Gildan, Hanes, Fruit of the Loom, etc...) as we feel there is no point putting a top quality print on a poor quality shirt. Traditional screen printing is messy, produces a lot of waste, and uses harsh chemicals which can damage the environment. It also has high design set-up costs starting from about �25 per colour meaning that a four-colour design could easily cost well over �100 before you have even paid for a single T-shirt! For that same �100, we could probably have ten t-shirts not only printed, but also delivered to your door! No set-up fees or other hidden costs. 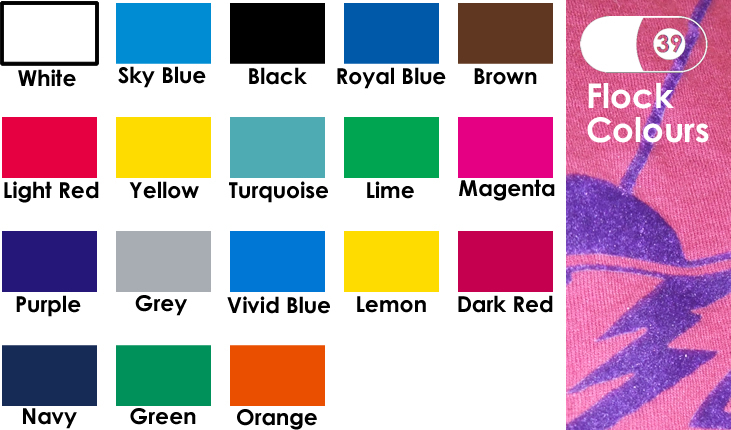 Just like in traditional screen-printing, we print layers of different colours directly onto the garment, achieving a bright vibrant print, which is very hard-wearing, and will never fade away. 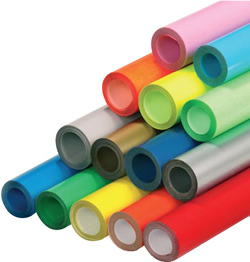 The vinyl and flock print layers are cut from large rolls of vinyl / flock. The excess material is then removed by hand using a weeding tool. This can be quite time consuming for designs with high levels of detail. 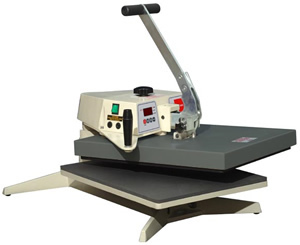 The remaining design layer is then heat-applied to the garment using a heat-press. 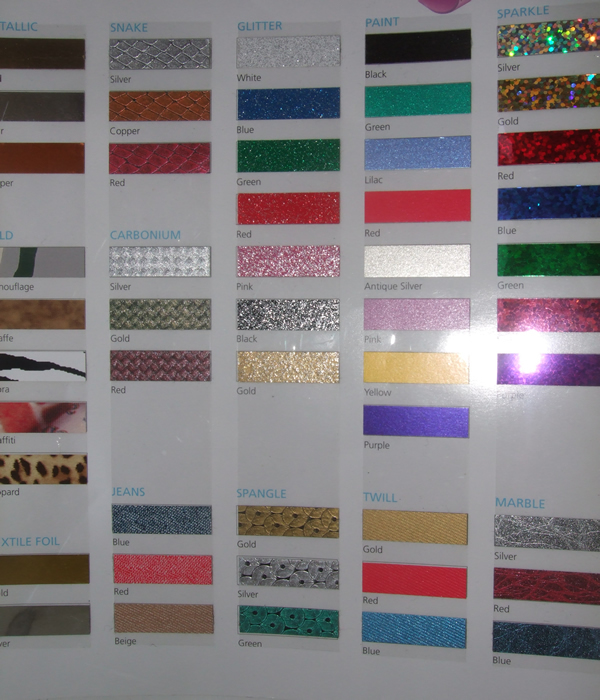 Garment Vinyl and Garment Flock mainly come in solid colours, but some special textured or patterned garment decoration films are also available. 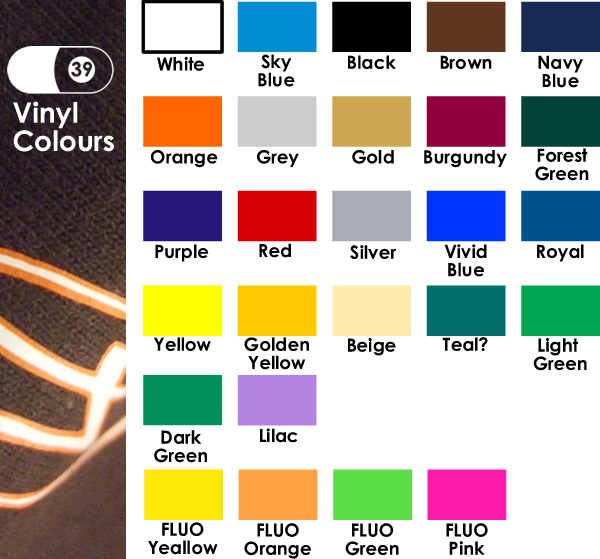 See below for the available colours of vinyl and flock, and for some examples of alternative options. Please note that we do not keep all the speciality vinyls in stock. We may need to order them in upon request. The more colours, and the larger the print, (ie : the more vinyl or flock used in the design) The more expensive the design will be to produce. Intricate designs which involve a lot of time consuming weeding, may also be a little more expensive as we have to factor in the time for this work to be done. For full-colour designs (like photos, or designs with colour gradients) we use the very finest printed transfers, and special T-shirt transfer pigment inks which are guaranteed not to fade over time. 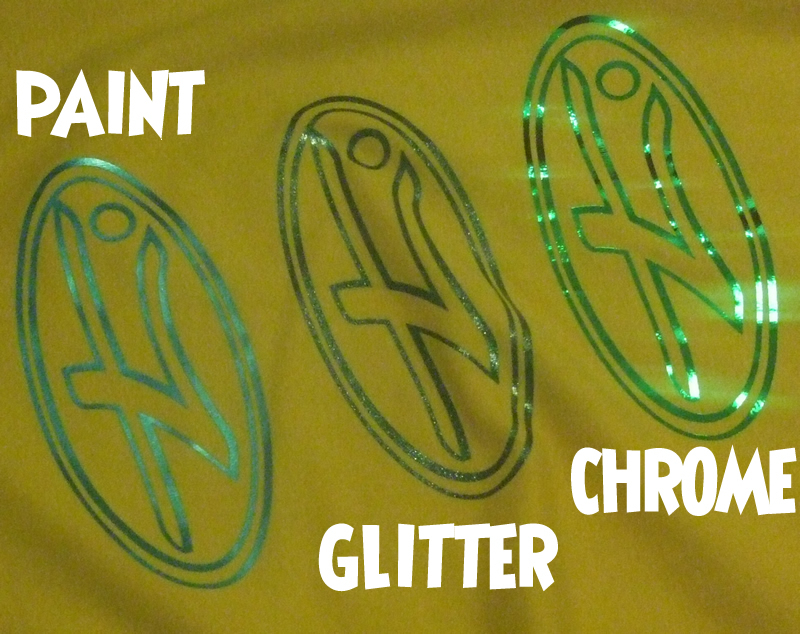 These transfers are available for light-coloured and for dark-coloured fabrics. They produce highly detailed t-shirt designs, and the print is very soft to the touch.